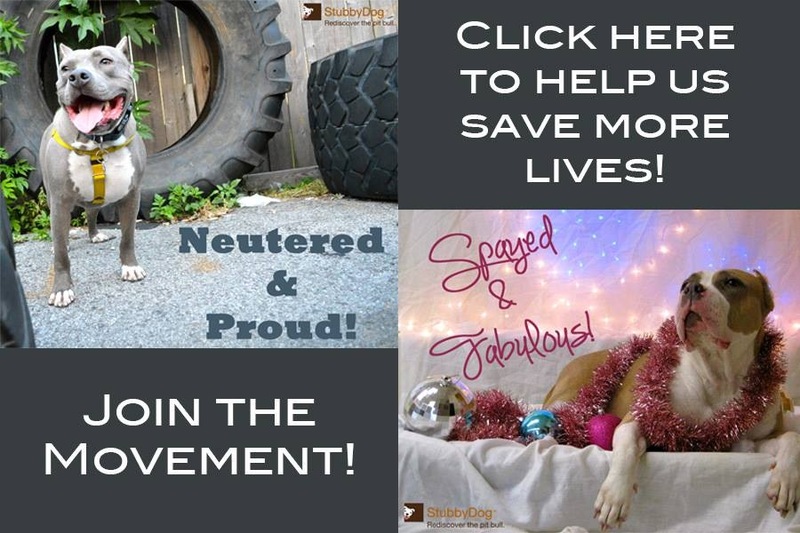 Lucas County Pit Crew supports responsible guardians of Pit Bull type dogs through education, advocacy, training assistance, spay/neuter promotion, and adoption. 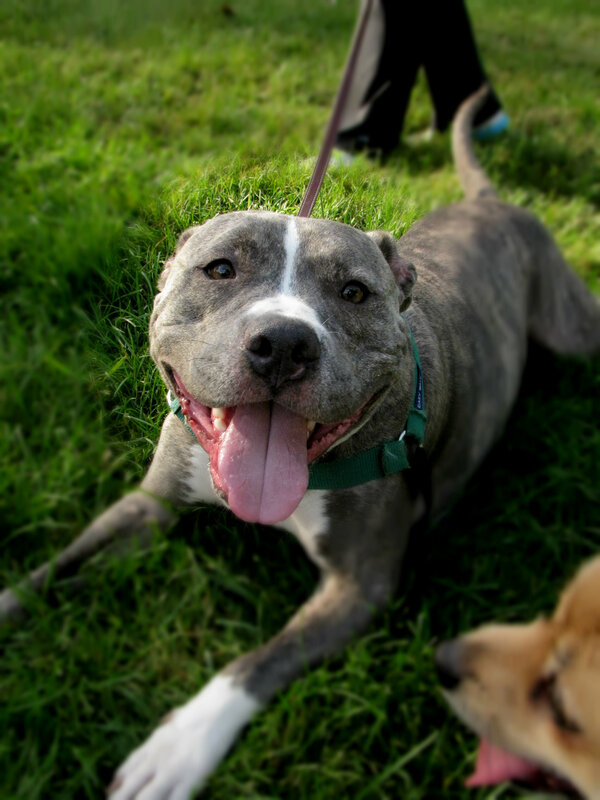 LCPC believes that dogs are individuals and should be treated as such. The dogs are the best educators in the community, opening and changing minds every day. LCPC is a 501(c)3 non-profit organization working closely with the Lucas County Dog Warden to transfer dogs into foster homes and adopt them into loving families. But they don’t stop there! Part of what makes LCPC one of our favorite rescues is the post-adoption and other community support that the organization offers. Check this out: free rabies clinics, free spay/neuter vouchers, dog safety education programs, free and low cost training programs, play groups and agility programs, library reading buddies program, and group walks for all dogs. Sign us up! This is the kind of community support and educational outreach that really makes a difference. Did you catch the library reading buddies part? Pit Crew dogs attend local libraries and provide students with love and acceptance while being attentive listeners and helping students build their reading skills. Keep up the good work, Lucas County Pit Crew! Contact LCPC to sponsor one of these programs, and if you’re in the area, be sure to check the LCPC calendar because there is always something going on! Oh Mr. Jenkins! Just look at those eyes! Not only is he our featured success story, but did you know that the amazing Mr. Jenkins is STILL in search of his forever home? Let’s make this one happen StubbyDog fans! Mr. Jenkins was picked up by the Lucas County Dog Warden with a horrific injury. He had most of his head ripped off and his skull was completely exposed. He also had a toe ripped off down to the bone. You can see Mr. Jenkins’ before photos here. It was so bad that many would assume euthanasia would be the only humane option. However, some dogs just have a way of looking into your eyes and letting you know that they are not ready to give up. And Mr. Jenkins did just that. Mr. Jenkins is a true representation of the resilience, forgiveness, and heart of pit bull type dogs. He is always happy and eager to be with people, and never has a bad day. Email [email protected] for an application to adopt Mister Jenkins. 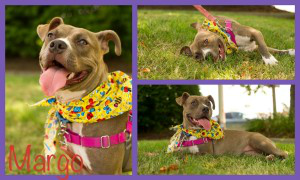 Margo is just over a year old and will win you over with that big smile! She is working on her basic skills and enjoys being active, but is also perfectly happy snuggling up with you on the couch. She’s not much of a cat person, but boy does she love her people! She is crate trained, spayed, micro-chipped, fully vaccinated, and her adoption fee is discounted at $50. Hurry up and email [email protected] to get your application in for this sweet little girl! Other adorable adoptables may be found here. Can’t adopt? Try becoming a foster parent. And if you can’t foster, you can sponsor! Sponsors provide adoption incentives by covering part of a dog’s adoption fee, necessary medical care, or special items for a dog in need. Any amount helps!